Target is a popular Minnesota-based big-box corporation. It is hard to throw a stone in suburbia today without hitting a Target. We have all been to one. With busy stores across the country, Target has an obligation to provide its consumers with a safe shopping experience including well-maintained shopping facilities and carrying safely designed and manufactured products. Target faces a lot of lawsuits. If you are claiming more than $75,000 and you are not in Minnesota, you can expect Target in many cases to remove the case to federal court. Lawyers, if you are bringing a claim, remember that these big retailers have zillions of pages of procedures and they don't train their $8 an hour employees to the point where they know these procedures. One more thing to keep in mind: ask for the surveillance film early in the case. These days, these stores have cameras everywhere. Most of the personal injury lawsuits against Target that have gone to trial are slip and fall cases. In this claim, plaintiffs generally allege that they fell because either (1) Target created a condition that caused them to fall (usually the best facts for plaintiffs), or (2) Target knew or should have known of a hazard that might cause someone to fall and did not do enough (usually nothing) to prevent the hazard. 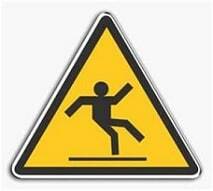 There are a lot of very high verdicts in slip and fall cases like this. But these cases can sometimes be challenging, too, because a plaintiff's lawyer has to show that the fall was due to the negligence of Target. The mere fact that the person fell is not enough to bring a viable claim. From looking at recorded jury verdicts, it is easy to form the impression that Target looks to settle these cases if there is a real chance of a jury awarding a significant award. If you look at the verdicts in slip and fall cases around the country, you see very few plaintiffs' verdicts. What does this tell you? One interpretation is that Target is a tough competitor in personal injury cases. Another interpretation, and the one we subscribe to, is that Target simply does not let the good cases go to trial. If you read the details of some of these defense verdicts, it is pretty clear why the plaintiff lost. The good cases with Target have a good chance of reaching a settlement and you do see a good number of reported settlements with Target (and attorneys rarely report settlements). Here are a few of the sample verdict against Target or that happened in one of their stores. These are not, by any stretch, representative verdicts - on way or the other - of what to expect in your potential claim. 2012, Florida: Jury Verdict of $386,522. Plaintiff is shopping at Target in Deerfield Beach, Florida. She slips and falls in a puddle of bleach and sustained a C5-6 disc injury. She gets surgery, a diskectomy (no fusion) She sues Target. Jury awards $386,522 and finds Target 87% at fault and her 13% at fault. The adjusted verdict was $336,274. 2011, Florida: Jury Verdict of $230,802. A 48-year-old man slips on a liquid soap in a Target near St. Petersburg. He claimed a torn meniscus in both of his knees. At trial, plaintiff argues that one of Target's employees spilled liquid soap on the floor and failed to clean it up or warn of the potential risk of fall. (Again, these "Target employees created the risk" are the best kind of slip and fall cases.) Target argues what stores always argue: plaintiff should have seen the spill. Target also argues, through its orthopedic expert, that plaintiff's damages were not as he claims because while that kind of fall can lead to a crush injury, it should not cause that type of harm to the knees' meniscus. The jury disagrees, awarding plaintiff $230,801.92. The jury also finds plaintiff 10% responsible, reducing the award under Florida's comparative negligence law to 10% to $207,721.73. 2011, Pennsylvania: Jury Verdict of $150,000. Plaintiff, a 25-year-old female is walking through an isle carrying a large box when she steps sideways to allow an older lady to pass. The edge of her box catches on a display shelf, and she trips over a bean bag chair that was left in the aisle. Plaintiff is diagnosed with chondromalacia of both knees with a recommendation for future surgery. Defendant claims she should have seen the chair when she went to pick up the box and also that they had no way of knowing who placed the chair or how long it had been there. 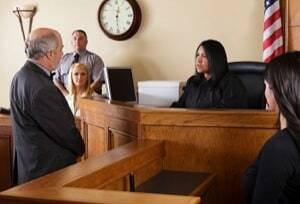 The Jury finds the Defendant 90% at fault and the Plaintiff 10% comparatively negligent. Plaintiff is awarded $150,000 that is reduced accordingly. Our law firm is handling Target injury cases. Our firm handles only serious injury claims. If you have been injured as the result of negligence at a Target, call 800-553-8083 to speak to a lawyer or get a free online case evaluation. What Is the Value of Your Target Case?